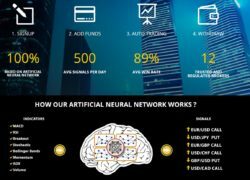 On the BinaryRobot.Pro website you can read that Binary Robot is a fully automated software that can trade binary options. It allegedly is the first binary options autotrading software. 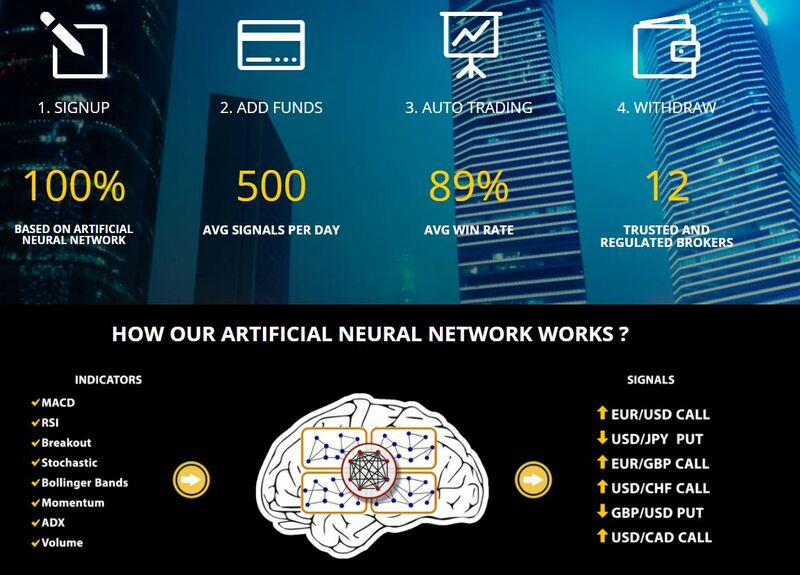 Binary Robot Robot generates 500 signals per day with an alleged 89% winning rate. So a really prodigious software. And guess what, you can get it for free. 500 signals per day, 89% winning ratio. Wow. Let’s do a quick calculation. You start with a $500 deposit and invest $10 in each trade. The first day you make 500 trades, 445 are winning, 55 losing. This means a net profit of $3010. So just in the first day you make six times your deposit? No, of course not, because Binary Robot Pro is an ugly scam. All the numbers they give are pure fiction. This is more than science fiction, a free millionaire making software… Complete nonsense, all they say about Binary Robot Pro are pure lies! This scam is based on a software that is used by many scams, like Option Robot or OptiBin Robot, see the image to see proofs. The most disgusting thing about this scam software is that it offers a demo that fakes results. It rewrites losing trades to winning to make you believe that Binary Robot Pro is truly profitable. But it is not! If you try it with real money, it will lose your deposit, because real trades obviously cannot be faked. The truth is that the Binary Robot Pro owners are affiliated with all the brokers you can see on their list, by the way they are not all regulated. So Binary Robot Pro owners will get paid each time somebody signs up through their software with one of their brokers and sends money to a trading account. 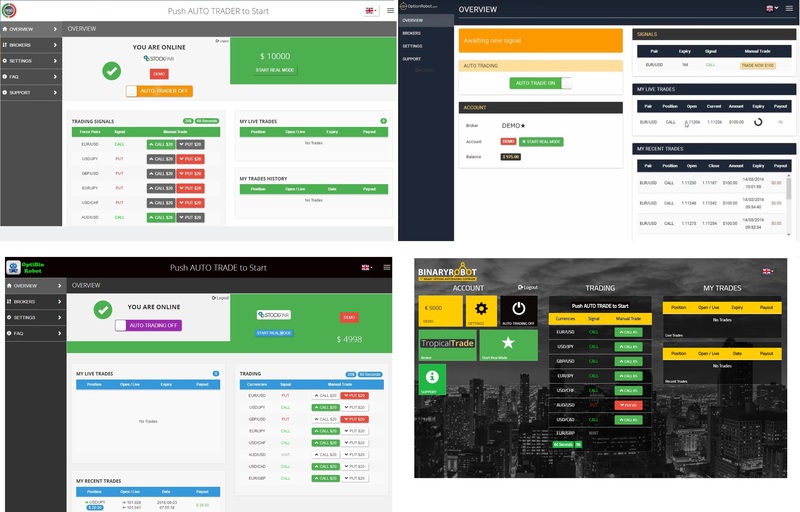 So this is the real purpose of Binary Robot Pro, to make you open an account and deposit money with a partner broker so that scammers earn an affiliate commission. So they tell you their lies about a profitable software which in reality is losing money. So don’t trade real money with Binary Robot Pro! Binary Robot Pro is a scam with a software that fakes testing results to make you believe that it is profitable, but it is not. So don’t trade real money with this scam. You can verifiy on a true free demo account that binary options trading works in a different way than Binary Robot Pro is showing you. It is on a true demo with a regulated broker that you should start your learning.